Imagine if someone were to claim that the lynchings of blacks in America in the early decades of the last century had been triggered by black provocations. What if this someone insisted that to think otherwise was racist and offered the following rationale: Either you viewed those who had carried out the lynchings as acting in response to black conduct or you saw the lynchers as inherently predisposed to killing blacks, the latter view being racist. Almost certainly you would regard such thinking as bizarre and bigoted in the extreme. You would likely also know that the suggestion one had either to be provoked to hatred or born to it ignores the major source of group hatred — indoctrination. Yet, like our imagined bigot, many in the West choose to ignore the indoctrination to Jew-hatred and to pursuit of Israel`s annihilation that is standard fare in Palestinian media, mosques and schools — that indeed has been standard fare in the Arab world since Israel`s creation. Rather, they insist that the terror war against the Jewish state is simply a response to Israeli provocations. This Western blindness to incitement and indoctrination against Israel is often simply straightforward anti-Jewish bigotry, and today is ominously a feature of "liberal" elites: academics, elite churches, elite media, cultural elites. In a recent sermon delivered by a religious leader in the employ of President Mahmoud Abbas`s Palestinian Authority and broadcast on official PA television, the speaker declared: "We have ruled the world before, and by Allah, the day will come when we will rule the entire world again .... We will rule America ... [and] Britain and the entire world — except for the Jews. The Jews will not enjoy a life of tranquility under our rule .... Listen to the Prophet Mohammed, who tells you about the end that awaits Jews. The stones and trees will want the Muslims to finish off every Jew." Only shortly afterwards, leaders in both the Anglican Church and the United Church of Christ recommended divestment from Israel because, they asserted, the conflict between Palestinians and Israelis was due to Israeli provocations. In their divestment proposals, neither church gave even passing mention to Palestinian incitement to Jew-hatred and genocide. The media, particularly the elite media, for the most part likewise ignored this recent episode of incitement. The New York Times, for all its extensive coverage of Israel, has consistently refused to cover anti-Israel hate indoctrination and has even ridiculed Israeli complaints about it. It did mention this sermon, but only in the context of trumpeting a Palestinian Authority official`s criticism of it. Sadly, even Israelis and other Jews are guilty of this bigotry of discounting anti-Israel hate indoctrination and putting the blame for Arab hatred on supposed Israeli provocations, doing so at times in words that virtually mimic our imagined anti-black bigot. 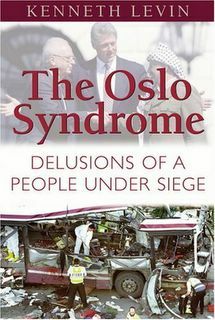 The acclaimed Israeli novelist David Grossman, in an op-ed published by The New York Times in October 2002, in the midst of Arafat`s terror onslaught, asserted that the terror was due to "Israeli provocation" and that to deny this is to endorse the racist view that the Palestinians are violent "by their nature." Why would an Israeli subscribe to this anti-Israel bias? Unfortunately, it is common for some among peoples subjected to chronic besiegement — whether minorities marginalized, denigrated and attacked by the surrounding society or small nations besieged by their neighbors — to blame their own community. They do so because they want to believe that embracing the enemy`s hostile indictments and reforming accordingly will win peace. This has been a recurrent phenomenon in Jewish communities throughout the history of the Diaspora and it has been common in Israel. To acknowledge the role of Palestinian indoctrination and incitement, with their promotion of Israeli`s annihilation, indeed of genocide, is to recognize that the hatred is beyond Israel`s control; whereas to blame Israeli "provocation" supports the delusion that Israeli "reform" will end the hatred. The allure of self-blame has driven many Israelis to level distorted charges against their nation, and critics of Israel in Europe and America eagerly cite such voices to bolster their own attacks on the Jewish state. But the fact that there are Israelis who share these critics` bias does not render the latter any less guilty of anti-Israel, and anti-Jewish, bigotry.